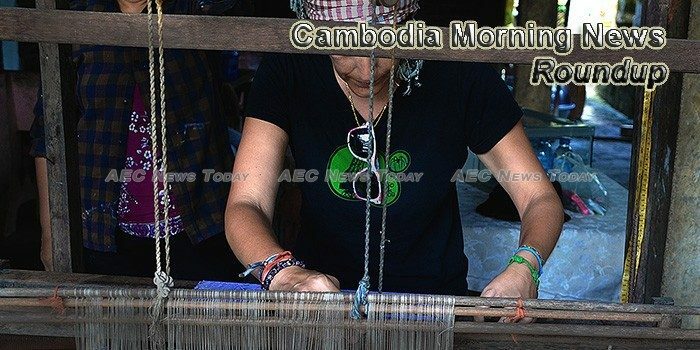 The Australian government has agreed to grant AU$ 87 million (US$67.7 million to Cambodia to promote its development in 2018. Cambodia’s salt producers are suffering from a catastrophic harvest season that is likely to deplete their reserves and threaten the industry’s future prospects, according to leaders of the country’s largest salt federation. The strange saga of cryptocurrency company Entapay falsely claiming the endorsement of the Cambodian government continued yesterday when the firm issued a press release alleging that it had the support of the Royal Cambodian Armed Forces (RCAF) – a claim denied by military officials. Cambodia’s near-term economic outlook remains positive with gross domestic product (GDP) growth expected at around 7 percent in 2018, the International Monetary Fund (IMF) said in a press release on Sunday. Cambodia’s Supreme Court on Friday rejected bail for two former Radio Free Asia journalists accused in November of espionage in a widely criticised press freedom case, the day after a group of US senators called for the pair’s release. Prime Minister of Cambodia Hun Sen asked Cambodians to support and buy Cambodian agricultural products that were brought to sell in Australia.